Where Can I Find A West Chester Emergency Dentist? If you have been suffering from a toothache, it is important you seek out an experienced West Chester emergency dentist to diagnose and treat the source of your discomfort. At West Chester Dental Smile Center, we offer the high-quality, compassionate care you deserve. With flexible scheduling options available, our staff will work with you to find the most convenient appointment time. Whether the result of trauma, decay, or infection, you can be confident that we can address any dental problem you may be experiencing with our wide array of treatment options. Our staff will do their utmost to provide you with a comfortable, relaxing experience where all your oral care needs are carefully addressed. New patients are always welcome to our state-of-the-art facility, your resource for excellent dental work. A good rule of thumb is to consider any oral pain you are experiencing to be a dental emergency. The sooner you are able to see a dentist the better, as conditions addressed early on, offer the most favorable treatment prognoses. As a leading West Chester emergency dentist, our staff will do everything they can to provide an appointment time that fits your schedule. While a dental emergency may seem like a frightening experience, it is not one you need to face alone. Our compassionate staff will be by your side the entire time to address any questions or concerns you may have. A wide range of conditions including, cavities, bruxism, impacted teeth and periodontal disease may cause a toothache. With a comprehensive knowledge of dental health and the assistance of leading-edge diagnostic equipment, we can identify the source of your discomfort and design a treatment plan to restore your smile to excellent condition. 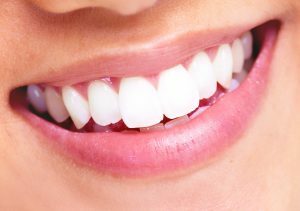 At West Chester Dental Smile Center, we have helped many patients reestablish the appearance and function of their smiles and we are confident we can do the same for you. For more information and to schedule an appointment, please call the leading West Chester emergency dentist today. This entry was posted in Emergency Dentist and tagged 45069, Dental Emergency, Dental Office, Dental Services, Dentist, Dentist Office, Dentistry, Emergency, Emergency Dentist, Toothache, West Chester on February 12, 2018 by admin. 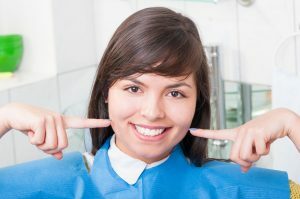 Which West Chester cosmetic dentist can give me a smile makeover? When it comes to rejuvenating your smile, your West Chester cosmetic dentist is the professional to visit. At West Chester Dental Smile Center, we offer a comprehensive selection of dental services including the latest treatment options in general, preventive, cosmetic, and restorative care. If you feel like the appearance of your smile could use improvement, our friendly staff will be glad to help you design a treatment plan that meets your needs, comfort level, and budget. We have helped many patients achieve their aesthetic goals, and we are confident we can do the same for you. New patients are always welcome to our state-of-the-art facility, your premier resource for cosmetic dental care. At West Chester Dental Smile Center, depending on your goals and preferences, we can help gently touch-up or completely remodel your smile. 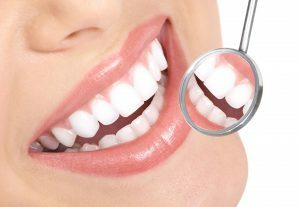 From professional grade teeth whitening to Invisalign, and porcelain veneers, you will be in excellent hands with our experienced West Chester cosmetic dentist. For patients looking to achieve immediate, visible results, our whitening treatment may be ideal. Our in-office procedure only takes an hour to complete and can leave you with a smile that is up to 8 shades brighter. We even offer a take-home kit that can be used to achieve results gradually. 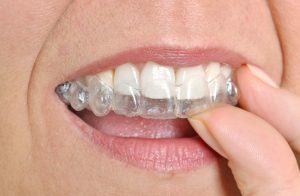 If your smile could use some corrective alignment, we offer Invisalign. Coming in the form of virtually invisible, BPA-free plastic aligners, Invisalign is a discreet way to straighten your teeth. 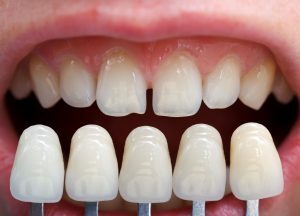 For patients seeking a full restoration of their smile, we offer premium, porcelain veneers. A highly customizable treatment option, dental veneers are very popular among Hollywood celebrities. If you are considering enhancing your smile, speaking with your West Chester cosmetic dentist is an excellent place to start. For more information on any of our general, preventive, restorative, or cosmetic services and to schedule an appointment, call West Chester Dental Smile Center today. This entry was posted in Smile Makeover and tagged 45069, Cosmetic Dentist, Dental Office, Dental Services, Dentist, Dentistry, Invisalign, Smile Makeover, Teeth Whitening, Veneers, West Chester on November 13, 2017 by admin. 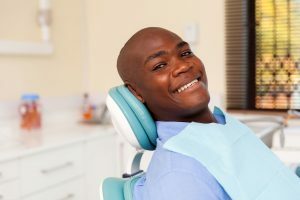 Where can I find treatment for my root canal West Chester? Whether the result of extensive decay, traumatic injury, or faulty restoration, if the nerve supply of your teeth has suffered irreparable damage, you may require a root canal West Chester to save the afflicted tooth. 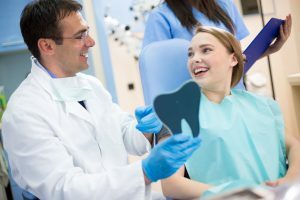 West Chester Dental Smile Center is home to some of the best dentists in the area who combine leading-edge technology with advanced techniques to offer the exceptional care you deserve. Providing a full range of services, from preventive and restorative treatments, to cosmetic options, as well as implant dentistry, we are the one-stop resource for the dental needs of the entire family. Keeping you comfortable and well-informed throughout the procedure, you can be confident we will restore your oral health in no time. To understand if you require a root canal West Chester, it’s first important to understand something about the anatomy of a tooth. Deep inside the tooth, underneath enamel and dentin, lies a central chamber that contains the nerve supply of the tooth, commonly referred to as the dental pulp. When the dental pulp has suffered irreversible damage as the result of extensive decay or traumatic injury, root canal therapy may be the only method of saving the tooth. At West Chester Dental Smile Center, we always keep the comfort of the patient the main consideration during our procedures. After administering a dental anesthetic to ensure you feel little to no pain, we will remove the decayed matter from the interior of the tooth, clean the area, and seal it with an inert rubber-like substance to prevent subsequent reinfection. Depending on the extent of the damage, the structural integrity of your tooth can be restored using a dental filling or custom crown. Root canal procedures have close to a 97% success rate, making it a very reliable method of saving a compromised tooth. Also, with the proper care and maintenance, a tooth treated with root canal therapy has the potential to last a lifetime. If you’re in need of a root canal West Chester treatment, come to the knowledgeable and skilled dentists at West Chester Dental Smile Center. Call our office today to schedule an appointment. This entry was posted in Root Canal and tagged 45069, Dental Office, Dental Services, Dentist, Dentistry, Infection, Root Canal on October 13, 2017 by admin.